Concrete surfacing is one of the most durable flooring solutions available today. Though very low maintenance, your concrete floor does require some care. The type and frequency of care is largely dependent upon the specific concrete application, the level of traffic and the environment, namely indoor versus outdoor. Basic maintenance involves keeping your concrete surface free of dirt and debris. To this end, inside the home, non-rubber doormats can help. Rubber doormats can heat up in the summertime and melt into the acrylic of the sealer and dull it down or even wear it out. When cleaning, we recommend not using any type of soap or solvent cleaners, a damp mop will likely do the job. A soft-bristled brush can usually remove surface stains indoors. Outdoors a medium-bristled brush may produce the best results. If significantly dirty, we recommend using a small amount of non-ammonia soap. As is the case with many types of flooring and outdoor surfacing, it is important to leave no soap residue behind because it can contribute to a dull or cloudy surface appearance. Outdoor concrete surfaces should be kept free of leaves and other organic debris so as to prevent surface-level staining or scratching. If deeper cleaning is needed, we recommend power washing. 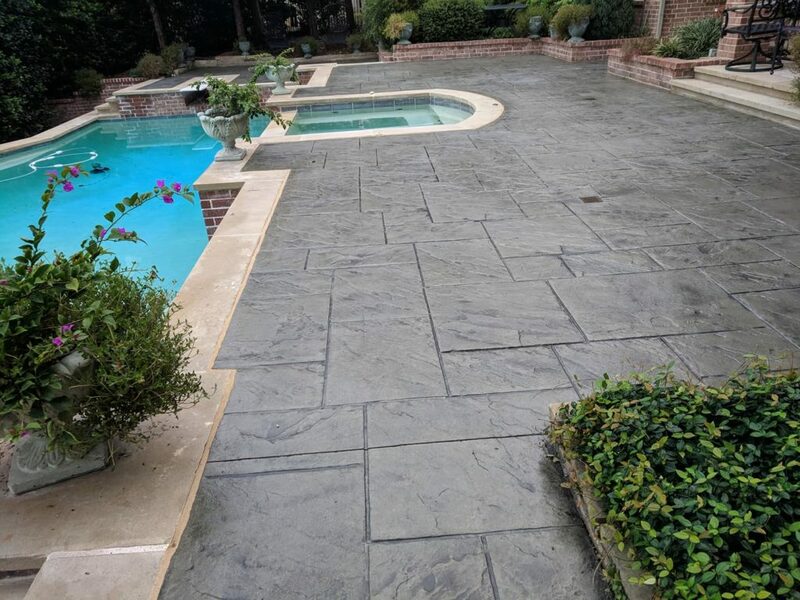 Bleach, citrus, pine and other non-pH neutral cleaners should never be used as these can damage the surface seal and even corrode the concrete. Beyond regular cleaning, polished concrete floors are very easy to maintain. When the shine begins to dull, which may take quite a while if traffic is light, a simple buff should bring it back to life. Generally speaking, polished concrete floors should not need additional polishing for at least 2 to 3 years. Research from the American Concrete Institute confirms that most concrete damage is due to surface moisture intrusion. Sealing can block the natural pores found in concrete and can create an impermeable barrier, thus protecting the area from water. Sealing reduces surface damage, prohibits deep staining and protects against corrosion. The cost of sealing is minimal compared to the cost of replacing irreparably damaged or color-distorted concrete. Dependent on the amount of traffic and type of sealer used, most indoor concrete flooring will not need to be resealed for at least 3 to 5 years. Outdoor flooring, depending on exposure to the elements, may need a reseal every couple of years. Our epoxy and urethane sealers can last 5 to 10 years, again depending on the level of traffic and exposure to elements. When resealing is needed, a light sanding and reapplication is typically all that is required. In some cases, we may recommend a commercial grade wax to cover a sealed floor to serve as an incremental barrier, thereby extending the life of the sealer. Traffic levels will drive the need for wax reapplication, but the overall application of wax is a simple process compared to resealing. There are numerous types of sealers available today. Our representatives are training in evaluating each situation and, considering the customer’s desired look and current surface seal, will determine the best solution for the space. 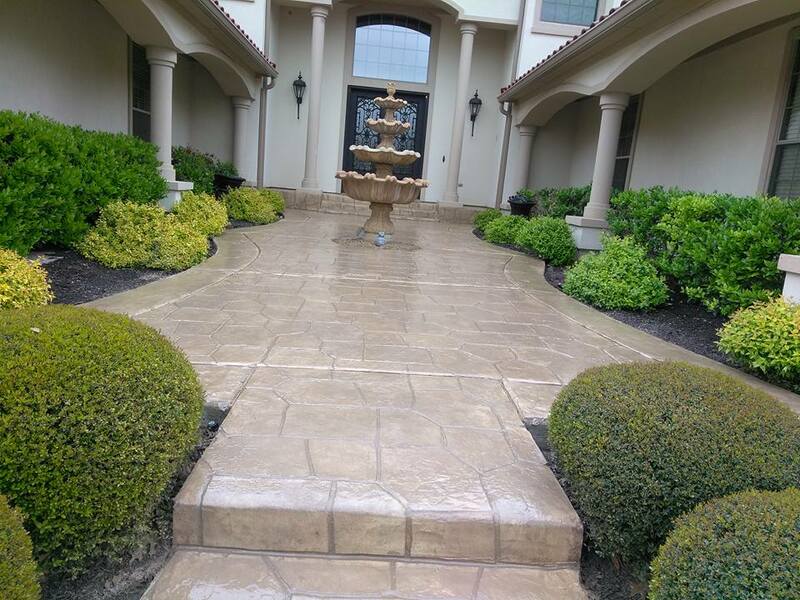 Sure, many of our clients are building from the ground up with fresh concrete; but, we also have customers looking to enhance or simply fix older concrete: plain or stained or scored; dulled polish or worn wax; faded color; excessive layers of sealer or inappropriate sealer for the job; a generally distorted appearance. We’ve seen it all. A reapplication of an existing seal or finish may not be the best solution now available. We take the time to listen to your concerns, study your situation, consider your budget and goals, and devise a revitalization plan that makes sense for you. Contact us today to learn more!